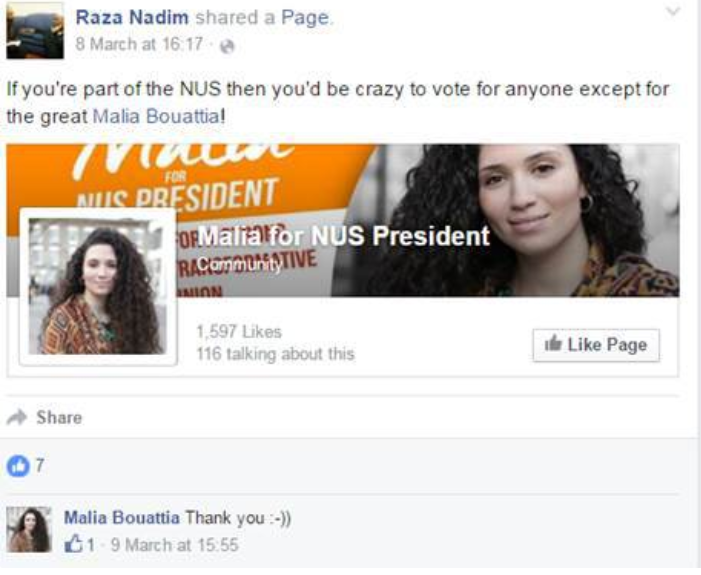 In a decision marred with controversy, Malia Bouattia has been elected president of the National Union Of Students in the U.K.
…the Black Students officer Malia Bouattia declared that the condemnation of Isis consisted of ‘blatant Islamophobia’, and was a shill for ‘pro USA intervention’ to boot. Jewish groups and students alike have also voiced their concerns about anti-Semitism based on comments made by Bouattia. She had previously warned of ‘mainstream Zionist-led media outlets’ and described Birmingham University as ‘a Zionist outpost in British higher education’. MPAC is actually banned from speaking at Universities due to their track record of anti-Semitism. Some of you may remember Reza Nadim for his inability to condemn stoning people to death and his claim that ‘Israel is 100% worse than ISIS’. You may also remember the leader of the group, Asghar Bukhari once claim that his missing shoe was best explained by way of ‘Zionist’ thieves. Malia thanked Nadim for his support, but would later claim to have no knowledge of his association with MPAC. As the BBC reported today, students from a number of universities are threatening to dissociate from the NUS over the appointment of Bouattia and the failures of the NUS in general. 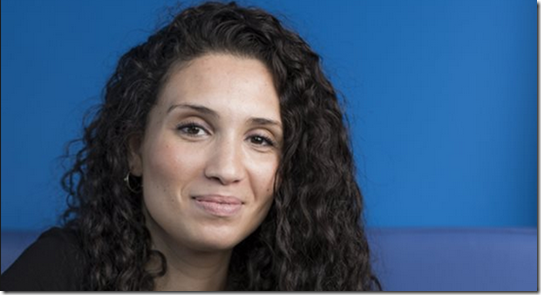 I imagine many will be keeping a close eye on Bouattia to make sure she makes good on that pledge. Just a quick note I think you should add to this. Bouattia claimed to have no knowledge of Raza Nadim or MPAC, yet they were following each other on Twitter (screenshots are on this link: http://thetab.com/2016/04/13/malia-bouattia-wouldnt-condemn-isis-now-shes-running-nus-president-85060) so that is extremely hard to buy. I’ll tell you who else tweets approvingly of Raza Nadim. None other than Suliman Gani, named as Sadiq Khan’s extremist link by Zac Goldsmith in the London mayoral hustings. Yes, that Suliman Gani who we have been told by Labour and certain media outlets is a Tory. If you look at Mr. Gani’s timeline you will see his support for for JeremyCorbynforPM: if Mr. Gani is a Tory as he claims, I’m Ian Hislop. I pointed out this out to JC’s warm-up man, Owen Jones: needless to say there was no response. That is probably 60% of the time the go-to form of answer when one points facts out to them. All the signals are there, the pattern is there…she enables Islamists and Islamist groups such as CAGE, and parrots the anti-Semitic conspiracy tropes seen by so many on the regressive left, far right, and among Islamists. Naturally, the Guardian can’t see what the problem is. There line is how it is such wonderful news that a “black” Muslim woman (who doesn’t cover up) is now NUS President. Ignore everything that she has said, cover it up, shush, and stay quiet. Just like the landscape for Savile and the northern cities abuse scandals. Just say quiet, and don’t say anything, eh, Guardian. How does someone like this even go about getting elected to represent students? I’m unaware of the processes involved due to having not gone to Uni. This kind of thing always surprises me though because most students I know or have met have not been fringe lunatics ranting and raving about Zionist conspiracies here there and everywhere. 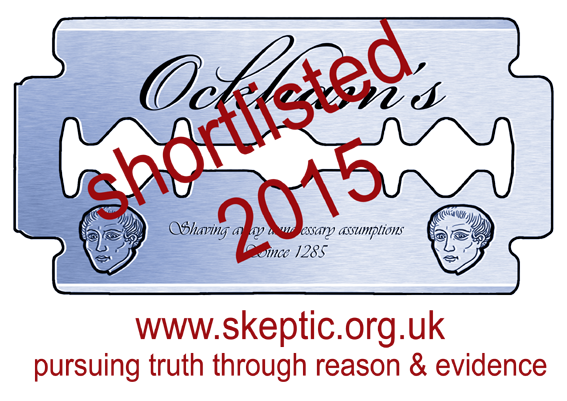 Maybe only the fringe elements even take part in this stuff. But it’s pretty worrying nonetheless. Would Malia Bouattia classify this as ‘blatant Islamophobia’ too?